Today I have a review of some concealers I have recently come across. Miners Cosmetics is a new brand to me, so I have never tried any of their previous products. 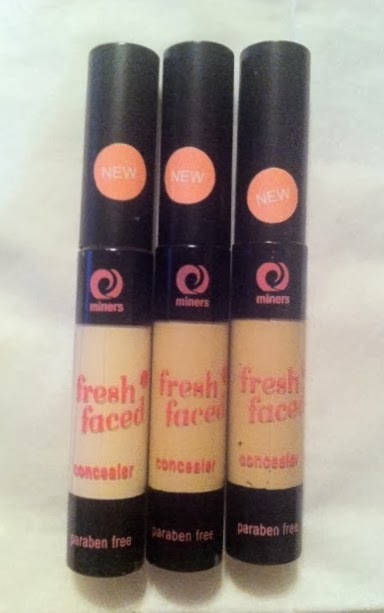 The three concealers I have are from their new 'Fresh Faced' range. I also have a little giveaway for you so keep reading on for that! 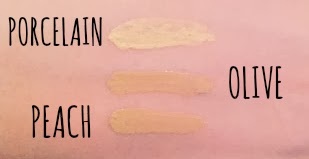 The concealer comes in three shades' Porcelain, Peach and Olive. For me, Porcelain is the best match for my skin tone so this one is a must for pale people! Peach and Olive are not very different in terms of the shade, but I would say Peach is more for pinker tones, whereas Olive is yellow toned. These concealers are great if you only need a little bit of coverage, and you're going for a minimal look. I find a lot of concealers are far too thick to pull of this look. Saying that, these concealers blend in beautifully and coverage can easily be built up. I'm very impressed with these products, and Porcelain is a new stable product in my makeup bag! At just £2.99 these are a real bargain! Now, I obviously don't need three. So I am going to give the Olive Concealer away to one of you! The giveaway will be open for two weeks. To be in with a chance of winning just follow the rules below and I'll email you if you're the lucky winner.